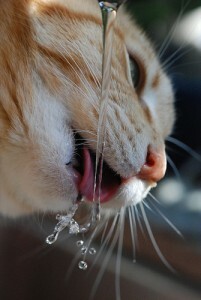 Does your cat drink enough water? Most cats don’t, and that can lead to urinary tract problems and other health issues. It’s hard to make a cat do anything he doesn’t want to do, but if you make the water more appealing, your cat will be more likely to drink more of it. A cat drinking fountain is the wonderful way to do this. They keep the water fresh and cool, just the way your cat likes it.